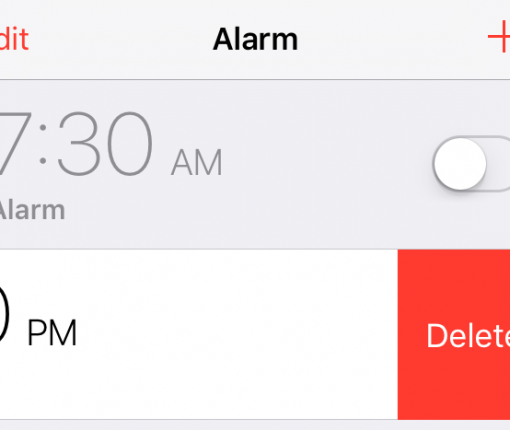 By default, any time you set an alarm on your iPhone, it’ll vibrate when the alarm goes off. For some people, this is a good way to help get woken up, but for others it’s a waste of battery and can be completely annoying to hear that loud vibration on the night stand. In this tutorial, intended for iPhone users only, we’ll be showing you how you can set up an alarm so that your iPhone doesn’t vibrate when it goes off. Having the ability to snooze when your alarm rings has probably saved millions of people from getting to work late, but I personally find it to be an annoying feature. When my alarm rings, I just don’t want to snooze and fall back half asleep, only to be reminded nine minutes later that it’s really time to wake up when the alarm rings again. 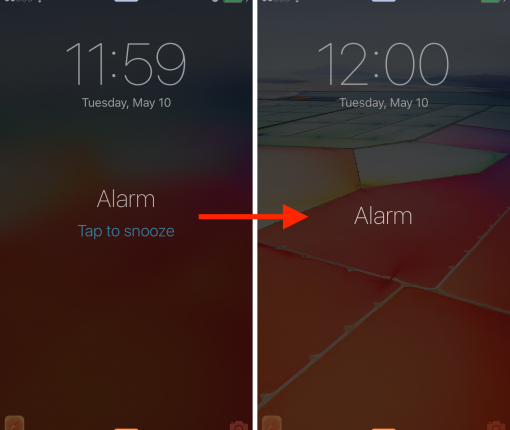 Up until recently, I hadn’t realized you can actually disable the Snooze button altogether. Granted, I don’t use alarms very often, which is probably why I never noticed this option was right there in front of me. If you’re anything like me and want to disable the Snooze option from your alarms, then read on. Heads-up deal seekers. Apple has named Tiny Hearts Limited’s “Wake Alarm Clock” its App of the Week for this week. This means that from now through next Thursday, you’ll be able to pick up the popular alarm clock app for free for both iPhone and iPad—a solid savings of $4. For those unfamiliar with the app, Wake is highly regarded for its beautiful and intuitive design, and its range of various alarm modes. You can slap your phone to activate a short snooze, flip it to turn off all alarms, or you can set it so you have to shake your phone to turn all alarms off. One could argue that iOS 9’s new swipe to delete feature in the stock Clock app was borrowed from a jailbreak tweak, but the implementation of such a feature is so obvious that concluding such wouldn’t be fair. Regardless of how it got there, swipe to delete is finally implemented into the stock Clock app in iOS 9. I’m sure I’m not the only one that’s super-happy to see this handy gesture make its way to an app that many of us use regularly. By turning your Lock screen into one giant button, SnoozeHelper (free) makes it super easy to snooze a pesky alarm clock. Watch our video walkthrough inside to see what I mean. 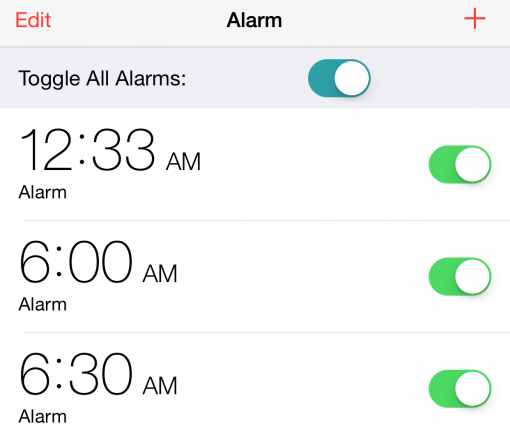 Looking for a quick way to disable all alarm clocks in the stock Clock app at the same time? Allarm—a clever mix of the words All and Alarm—is a brand new jailbreak tweak that allows you to do just that. 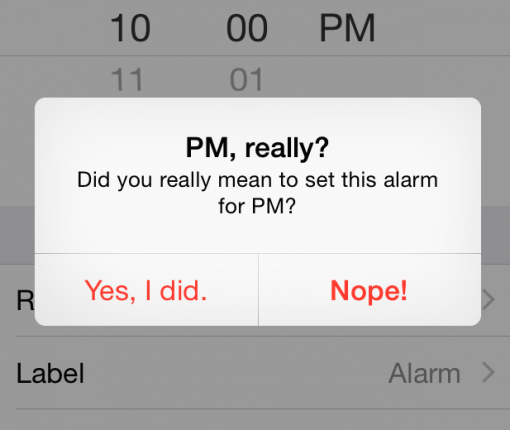 It places a handy toggle switch at the top of the alarm clock tab in the stock Clock app. Toggling this switch allows you to quickly disable all alarms simultaneously. I thought I was the only weirdo who sets seven or eight different alarms staggered out by a few minutes. I do this because I have a fear of waking up late and missing important appointments. 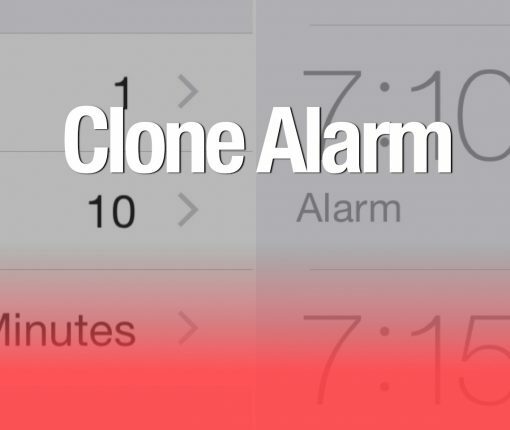 With Clone Alarm, a recently released jailbreak tweak, setting multiple alarms just got a whole lot easier. Born and raised in France where we use 24-hour clocks, the AM/PM time is something I had to adapt to when I moved to the States. It’s not complicated to figure out, but it’s easy to accidentally take one for the other. A new tweak called PM, really? wants to make sure you never accidentally set an alarm for the evening (PM), when clearly you wanted to be waken up in the morning (AM). As part of its ongoing push designed to increase foot traffic in its retail outlets, Apple via the free Apple Store app for the iPhone and iPad has so far given away free music, books, apps like 7 Minute Workout Challenge and the Rhonna Designs photo editor and games such as Tetris, Temple Run: Oz and more. 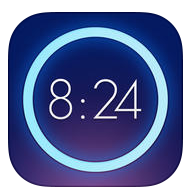 Today, the beautifully done Rise Alarm Clock app by Kellen Styler has gone free via the Apple Store app, a $1.99 saving. 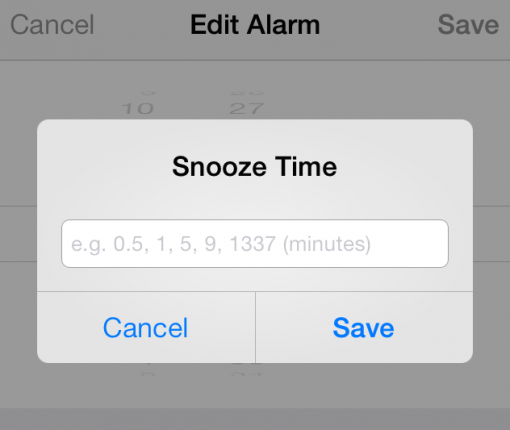 Snooze is a new jailbreak tweak by prolific jailbreak developer Julian Weiss. 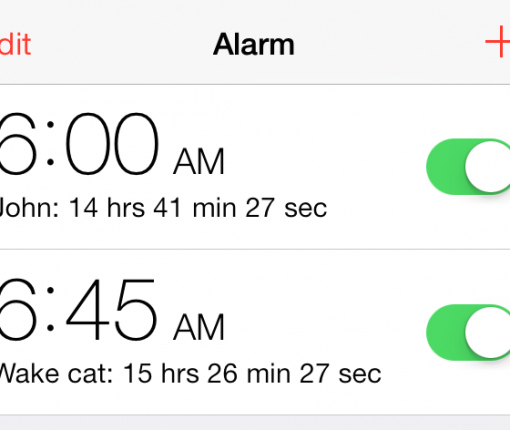 It’s a tweak that allows you to change snooze times for each alarm that you have set in the stock Clock app. 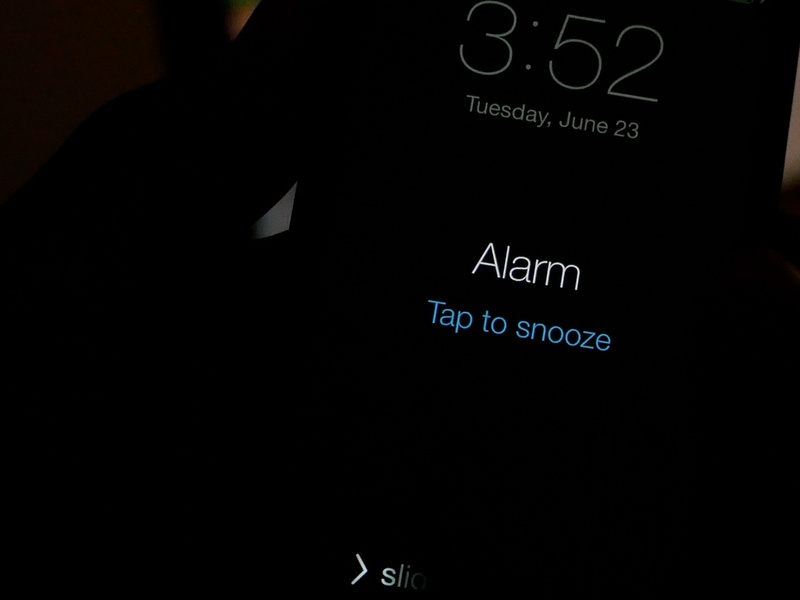 Snooze was the subject of Weiss’ talk at JailbreakCon 2014, and it’s a tweak that’s been highly anticipated by users in the jailbreak community. We’ve taken the $0.99 jailbreak tweak for a spin on video. Does it live up to its billing? Have a look inside for all of the details. You’ve been able to wake up to your favorite Pandora station since last December, assuming you’re enjoying the popular Internet radio service on your iPhone. On Monday, Pandora has finally rolled out the useful alarm clock feature to the iPad. It’s pretty straightforward and works a lot like the alarm clock feature in the iPhone edition: you just pick your favorite song or station to play as your alarm, knowing you’ll be woken up to your favorite music. Have you ever tried to calculate in your mind how many hours you have to sleep before you need to wake up? I think we all do that from time to time, and more than not, it ends up with us being anxious about the fact that we don’t have much time to sleep. But that aside, there’s a new jailbreak tweak available on Cydia that performs this countdown function for your automatically, and it’s called TimeForAlarm 2. TimeForAlarm 2 is a free jailbreak tweak that places a handy countdown timer right beside the alarm clock in your stock Clock app. It’s a great way to instantly figure out how much time you have remaining before your alarm clock sounds. Want to see how it works in action? Take a gander at our video walkthrough after the break.